A Maiden Stakes (Plus 10 Race) over 6f on Standard going. Nine two-year-olds take part: seven colts, two fillies, all with race experience bar one debutante. Fair prize money to the winner, especially if they are eligible for the £10,000 bonus. In many respects, this doesn't look the strongest of contests. Her Terms, one of the likely favourites, has raced six times and runner-up on three occasions. 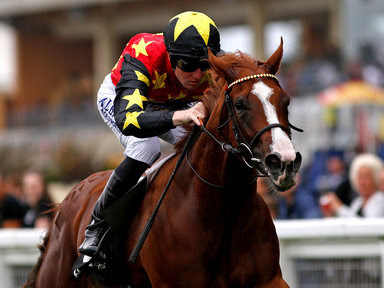 This chestnut daughter of Pivotal is trained by William Haggas for owners Apple Tree Stud. Connections paid a whopping 330,000G for this juvenile at the yearling sales and they will be desperate for her to win which will help increase her worth as a broodmare if not a star of the track. Her second, third & fourth run were proud efforts only being denied by narrow margins. She hasn't been disgraced on these last two starts although they have been slightly disappointing. This January foal has an official rating of 78 which is probably a fair measure of why she has been going close but not quite winning. Haggas has given this bonny filly a rest which I would imagine was needed after a number of hard races. I can imagine they were concerned she was being soured by asking a little too much and backed off with a view to finding a weaker maiden over the winter. This is most likely the plan. But can she win? Paul Cole is a good judge and King's Academy has been quite well found in the market for each of three races to date. This chestnut son of Mayson is out of a limited but winning mare. This February foal is owned and trained by Cole. He started his career in Chantilly, France, when pretty fancied in the betting. He showed good pace before tiring in the closing stages to finish fifth. The second start saw him placed behind Mont Cinq who lead from start to finish. It was a fair performance but giving the impression this colt is limited. He drifted markedly in the betting that day which suggests the layers thought something else would prevail. It may have been the case that the drop to five furlongs didn't help. Conversely, King's Academy was well punted at Kempton when back up a furlong. It didn't look the hottest race but it was an improved effort to finish runner-up. Don Cantillon doesn't have many two-year-olds in his string and Canberra Cliffs was recently purchased by the trainer and Tom Malone for 18,000G. This son of Canford Cliffs has been raced in Ireland showing a glimmer of ability and beaten favourite on his last two starts. With an official rating of just, 69 others make more appeal. This looks a moderate affair and reason why a good few are in the market. Mark Johnston's Shabeeh has four runs under his belt. A runner-up on first and second start and a couple of fourths. This gelding has been fancied in the betting a few times and far from disgraced when 20-1 last time out when racing over 7f at Chelmsford. With an official rating of 77 this son of Raven's Pass has possibilities although I wonder if this drop back to 6f will suit. Arzaak is another recent purchase at the sales by trainer Chris Dwyer for 25,000G. This son of Casamento was originally trained by Owen Burrows in the ownership of Hamdan Al Maktoum. This gelding hasn't been beaten far in each of his three starts. The Dwyer stable like a bet so if the money comes it would be a sign of confidence. Not without a chance and 8-1 if probably a fair price. Harry Dunlop's Coastal Cyclone belied his odds when running on well at odds of 25-1 at Salisbury, in the mud, on debut. He was relatively fancied when dropping back to 6f next time out when trying to make all but tired rapidly in the last 100 yards. Although beaten several lengths on his recent outing at Kempton, it was a decent race. On this turning course, I wonder if this son of Canford Cliffs will be sent to the front. Whether he will win is another question. Eve Johnson-Houghton has Five Star Frank. He was behind King's Academy at Kempton which is why this son of Exceed And Excel is priced 12-1. He didn't help his cause by pulling in the early stages before running on late. This bay colt may be better if settling. With a low draw in stall one, connections may decide to lead all the way. James Given's fields the only debutantes in Alfonso Manana. Very few of this trainer's juveniles win when priced in double figures. Best watched unless substantially backed. Vibes looks limited compared ith some of these and may be better suited to nurseries. Conclusion: A tricky race. It doesn't look the best of contests and a trappy affair with a good few juveniles with some hope of victory. Her Terms cost a lot of money and probably the best on form but I did feel she was regressing with each of those latter runs. Haggas gave her a well-deserved break which may liven her up just enough to win. I would take a watching brief as this race isn't straightforward.